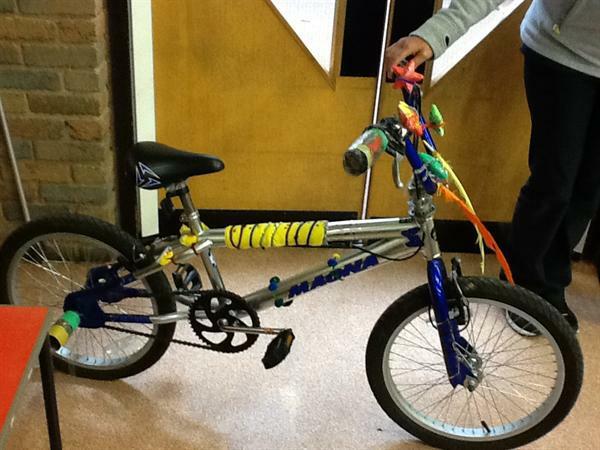 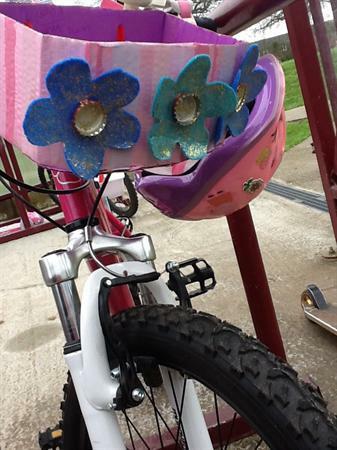 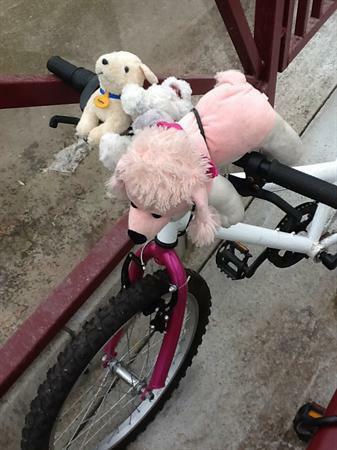 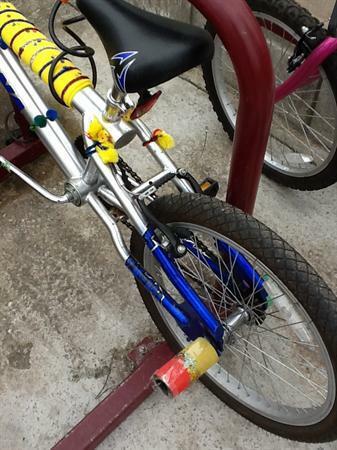 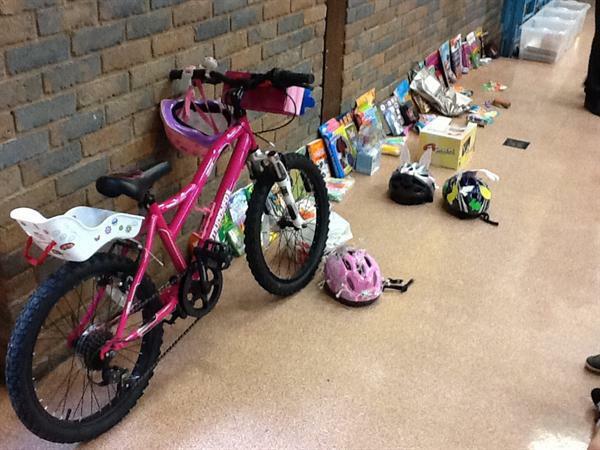 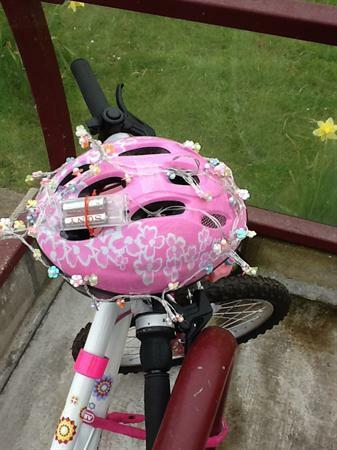 As part of our two week 'Big Pedal' where we are encouraging our pupils to cycle or scoot to school, we held a 'Bling your Bike' day on the 15th April. 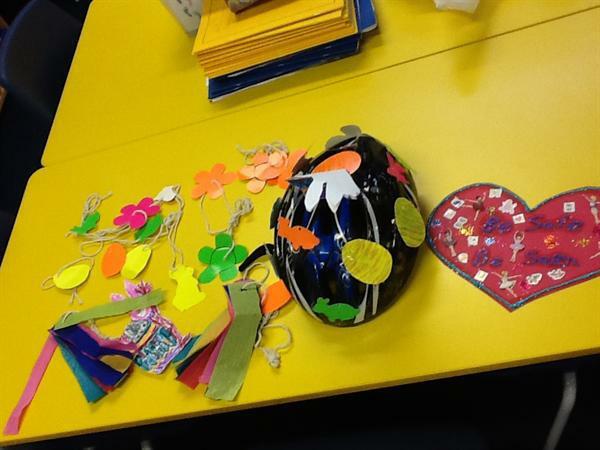 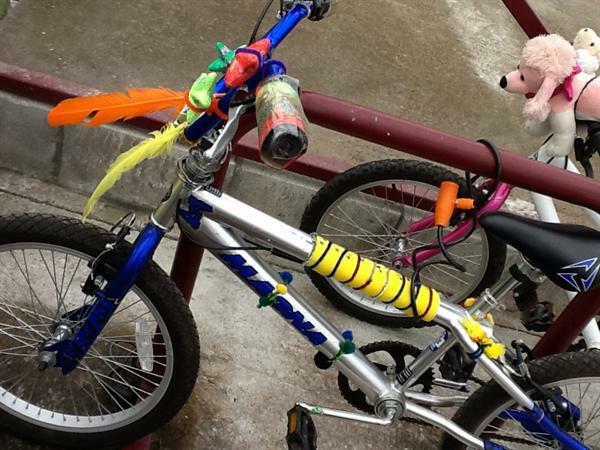 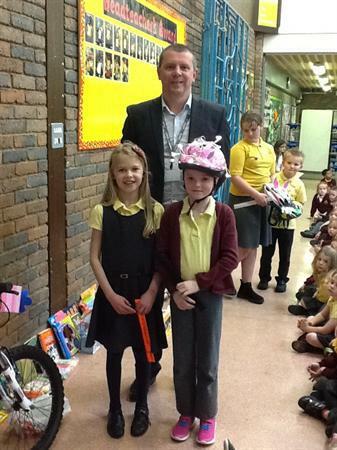 As the photos show, we had some imaginative and highly visible decorations on both bikes and helmets! 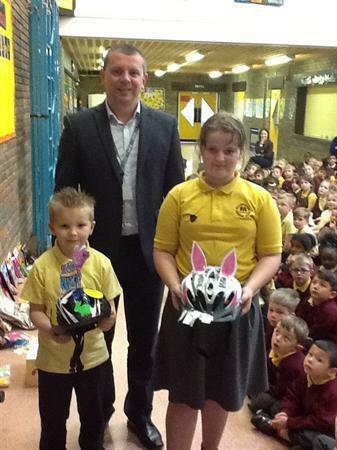 Well done to all involved and those who came in the top 3 were given prizes to say 'well done!' 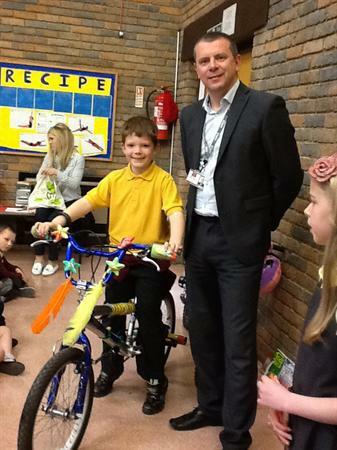 Our thanks to Hamish from Sustrans for his help and to Miss Davies for organising the event.